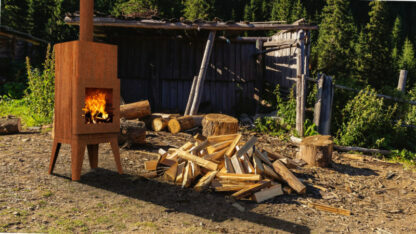 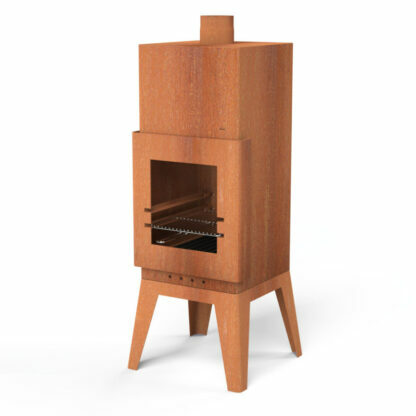 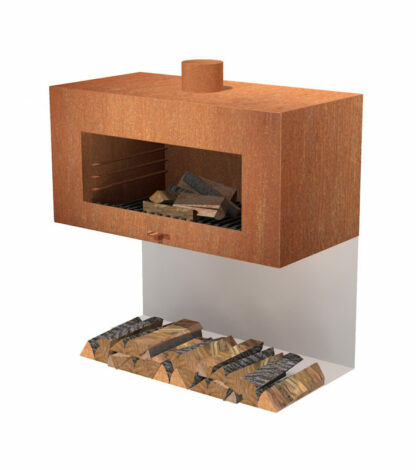 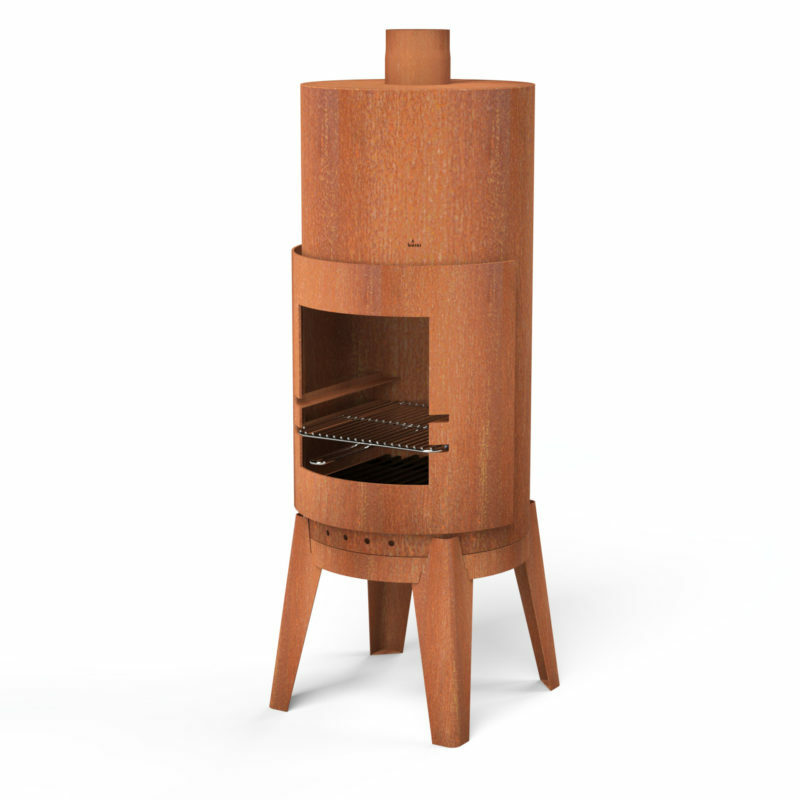 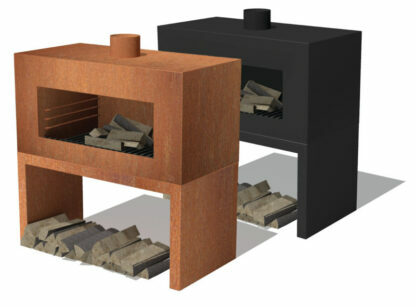 Form Log Burner by Adezz is reminiscent of a furnace which would be commonly found during the industrial revolution. 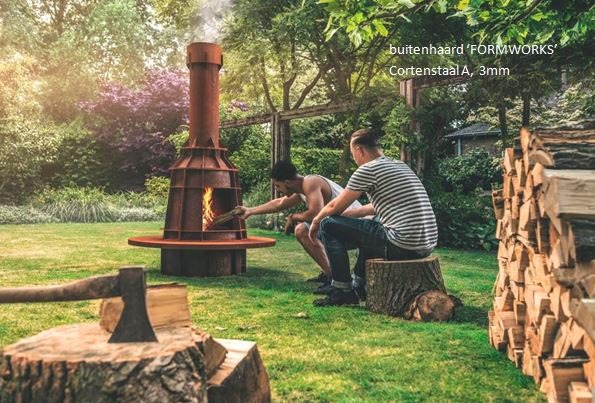 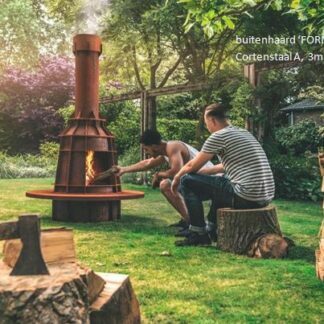 This structure brings together themes of industry, construction, production and history to create a stunning and timeless piece for your garden. The formwork of clean flowing shapes and bolts combine to make a stunning visual centre piece for any garden or outdoor area. 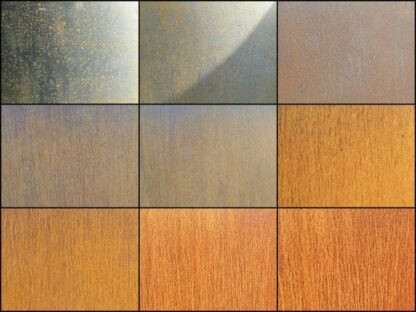 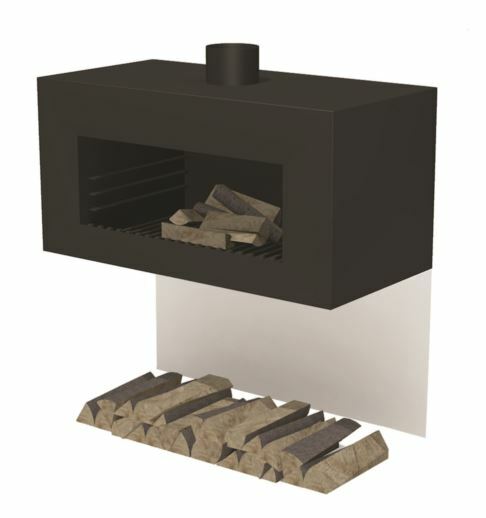 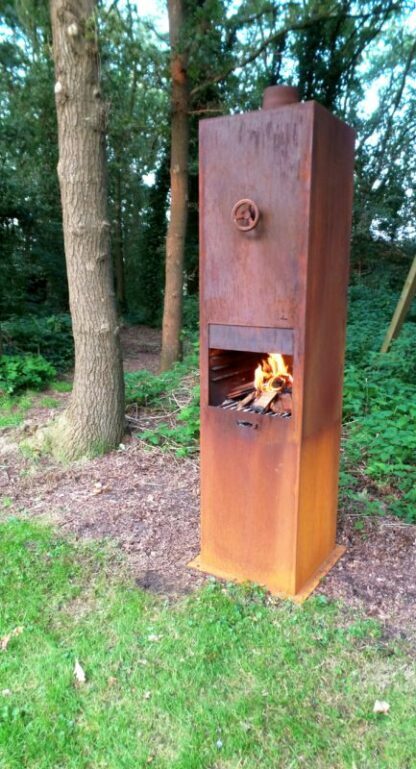 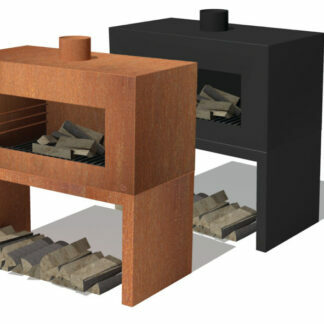 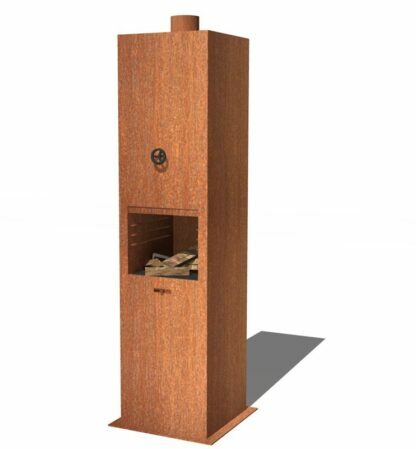 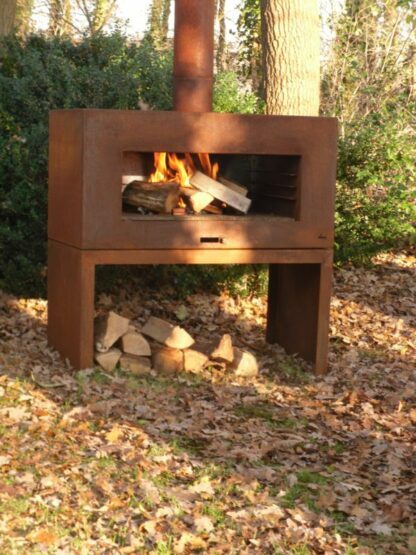 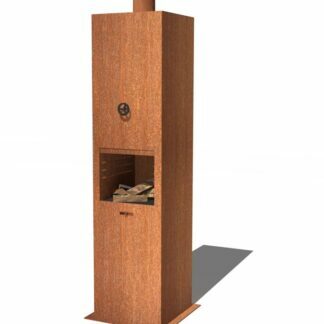 This is an extremely sturdy and secure fireplace than will develop over time to become a unique warming rust colour. Warmth will not only be given through the fireplace itself but also the appearance of the structure.